Mesolite is a zeolite mineral that occurs in delicate, needle-like crystal structures that radiate from its base. 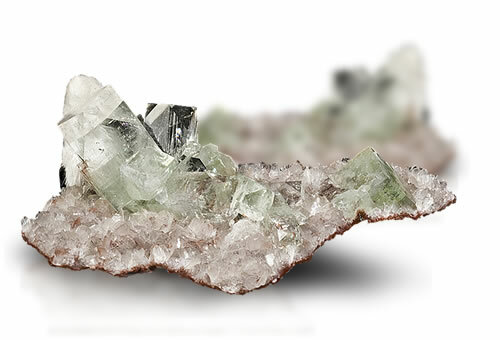 Prized by collectors for its striking crystal formation, mesolite is typically white or colorless, but occasionally light yellow in color. Large specimens are very rare, and faceted gems are almost non-existent. Mesolite is currently only found as mineral specimens. Sometimes pyroelectric: development of opposite charges at the ends of the crystal due to change in temperature. Sometimes piezoelectric: development of opposite charges at the ends of the crystal when placed under stress. Mesolite has clusters of radiating needle like crystals and is silky in appearance if fibrous.